After the Lumberjack, I am just chillin out and resting. As they say, "ride hard, rest harder." I rode an easy 30 miles on Tuesday from home to ILRA and did a lap with the group before coming back home. It poured rain almost all day yesterday, so I got organized and did some stuff around the house. I rode this morning for another easy 25 miles on the roadbike. Just doing some light spinning to try and get my legs refreshed. I will be packing up tonight and leaving in the morning for a trip back up to Manistee fore the weekend. 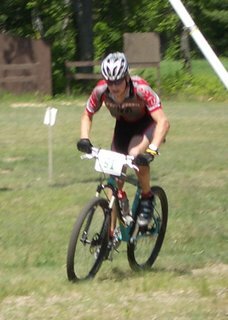 I will be riding the North Country Trail, Big M-Lumberjack Loop, and hanging out on the beach playing some frizbee. It will be with a group, so I should be able to just enjoy it without straining my legs too much. Looking foreward to next week, I am thinking about doing the Monday NIght ride and then judging how my legs feel. If they feel good, I will keep on riding, but if not, I will need to recover. Boyne Marathon is in 2 weeks, so I need to be fresh for that. 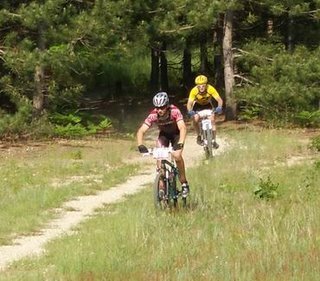 No more of the having fun at Endurance races, and then not recovering enough before the local XC races. That was the most FUN I have ever had at a bike race. I was so into it and never doubted myself once or even thought about quitting. I will be there again next year to try and improve my time. The day started off at 4:20am for some whole wheat pancakes and banana for a breakfst under the lantern. I mixed all of my drinks and gel flasks, stretched, got in bike clothes and was ready to go. We got to Big M around 5:45am and put up the tent(which was moved later) and I got everythig ready. The race started off on the road with 162 racers taking up the entire road. Gotta love it when the cars came through. 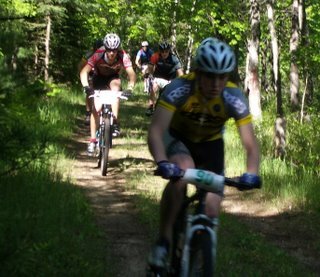 After a faster than inticipated leadout by the van, I started passing people and went into the woods in the second large group. I ended up passing all of these people shortly and I picked up the pace and started to find a group of people to ride with. The first 8 miles was an inner loop with some short hills thrown in all over. It ended with a nice sandy trechorous downhill. 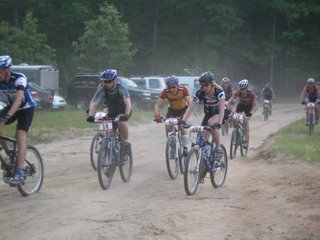 I rode the first lap with a good group of Dustin Cheney of CycleTherapy, a guy riding a 29'er from Minnesota, and a guy from State College, PA.
After lap one, I went in and out of the pits faster than anyone in the group. I felt like I could go faster than the group, and took off at a quicker pace. Just before the 8 mile mark, I was caught by the guy from MN. We rode together for another 5 miles before he took off and I crahed. It was getting sandier and warmer every loop, and that sand caught be and threw my bars into a tree. I wasn't going very fast, so I jumped up and went. The lap was slower than the first, but I was feeling good. Lap three came and it was getting hot. At the pits, I threw down some more endurolytes and chugged some water. I took a 24 and 28oz bottle and had them both gone before the end of the lap. I rode by myself during this lap and started pushing the hills a little harder about 1/2 way through. Once you get past mile 14-15ish, it stays flat for a while and has some small hills, but it is hard to mantain speed. It turns and is bumpy, therefore you can't hammer it away. A guy from Titus passed me, then stopped at the aid station. He passed me and I immediately picked up my pace and it actually felt better. When I went by him, I kept up the pace and never saw him again. I was well into the 90's and I was just keeping hydrated and keeping myself mentally in the race. As lap 4 came, I drank 1/2 of a nalgene bottle in around 10 seconds, and took 2 bottles of Gu20, both 28 ounces. After the innerloop, I met my GREAT support(my mom, thanks) and she filled up my already empty bottle 40 minutes in! 4 miles into my outer 17 mile loop, I crahed hard. My front tire caught some of the benchcut and shot me across the sand and into a tree. My bike hit the tree and my hip hit something. I layed in the trail for at least a minute. It is the spot where your hip meets the pevic bone and moves every pedal stroke. I knew it would hurt bad, but I got up and went. I couldn't seem to keep a fast pace up in the falst bumpy woods, but 5 miles from the end I picked it up hoping to beat the 8:30 mark. I passed a few more people, lapping them and kept on pushing. I kept looking down at my HR monitor for the time. I stood up for 1/2 mile through the BUMPY pines section 1-2 miles from the end. When my monitor hit 8:30, I sat down and brought it home. I finished 12th overall out of 162 racers. I was happy and surprised at how well I did compared to the elite racers. I finished in a pack of excellent riders and big name sponsors. My time was 8:32:10, and I was the youngest rider to do the race. I came across the line and Rick announced I was only 18 and 12th overall. 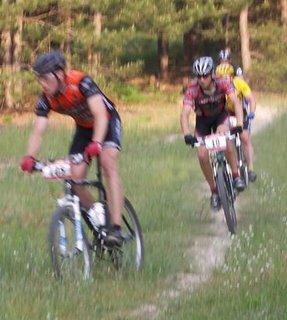 I was 10th in mens, but Dan Jansen and Eric Tompkin were ahead of me on SS, so 12 overall. After the race, I had tons and tons of people coming up to me and congratulating me over and over and saying how good I did. I didn't even know most of the people, but I was a great feeling of encouragement and I knew I did well. It was a great weekend and I had a blast. It was hot, but I stayed hydrated unlike 100 or so racers who DNFed. It was a hard race, but I will be back for more. That is my total so far for the week. I took Wednesday off since it rained almost all day and then took out the road bike today. I rode form my house up the big Kensington Hill, then around the GM proving grounds. We kept on riding through Milford and out through Wixom. We ended up back at ILRA where I did 3 laps since Kensington has road constuction. The ride was good. The pace was 17.8 avg with my mom, but it was okay since my legs are sore from the previous days of riding. ONce we hit ILRA, I split off and tried to raise my heartrate. After the first loop, I was able to comfortably hold it in the 160's without my legs burning too bad. I ended the ride with 76.2 miles and picked my average speed back up to 19mph. I was averageing above 20mph on the last 44 miles, so I am happy with the progress. I am heading off to Stoney Creek tommorrow to go ride the trails and then I will either ride Saturday and take Sunday off and get one last hard ride in on Monday before I wind down and recover for the race. 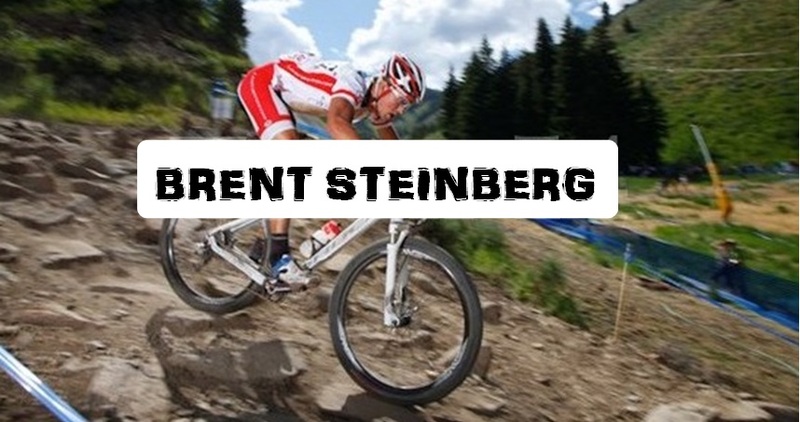 Word on the trail is that Chris Eatough-the 6 time 24H solo NAtional Champion from Trek/VW is coming. Should be fun to see him the first 10ft!!! Here are a couple pics from the race. I packed up all of my stuff and headed off to Gaylord where we stayed with my cousin's grandma again. We made the trip in pretty good time which gave us lots of time to spare. We went to Latitude 45 Bike Shop where I was looking for a road bike. I tried out a Cannondale CADD8 R5000 with full Dura-Ace road groupo. I asked if they had anything similar-especially in an '05 so I could get a better price. they called the other shop and had them send a '05 R1000 down with Ultegra and the same sweet Mavic Kyserium Elite wheels. We got up early and ate breakfast before we got ready to go pre-ride the race course at Hanson Hills. I rode easy and went in 44 minutes which felt good to get out on the bike again. The down side...I was not ONE with my bike. I think I over shot just about EVERY corner. I could not ride worth a damn. After the ride we went back to the house for some chow. I ate a sandwich and a few sun chips. Then it was off to the bike shop. I tried out the bike and it felt better than the R5000. The setup was a little different and I felt great. It was nice to have some higher bars and to be stretched out with a longer top-tube. That growing 6" after buying a 54cm bike didn't work out too well. Race Day. Did my usual, got up and ate some whole wheat pancakes. Went out to the race and warmed up for a while. At the start line, we went off then road the flat 2-track for a short section before the singletrack. I could not keep up on the friggin' flats. We hit the climb and I was on the tire-literally. I rubbed tires twice and had to step off. The pace was so fast then slow, we all had troubles leaving just enough space. I followed a guy the first loop and then knew I had to hammer it to bridge the 30 second gap between me and the others-yes I fell on lap 1 and got further behind. I rode hard and about 3/4 of the way through lap 2(after singlespeeding it up a few hills) I caught the pack. There was the 2 guys in my group, and Elite, and a 20-29 guy. I passed the Elite, then shortly after passing the 20-29 guy, I was standing up pedaling while following the guys in my class, I hit a log off the side of the trail with my foot and bam...I was flat on my face. I didn't have enough time to even get some hands down. I got up and had to get my cahin back on the third ring and jam it through the front derailluer since it fell off and wrapped around the crankarm. Then I was out of it. I could not keep going and riding as well after that. I felt better later in the third lap, and ended up coming third-by 1 second. Another hundred feet and I would have had it as the other guy was near the finish line when I cam e around and sprinted to the end once I saw him. I was told by everyone that I didn't look fresh and as good as I normally do in XC races. Huh, maybe that 12H race and then PLRA on the SS double after that hurt me-nah, how could it! Oh well, I got 20 bucks out of it. Next race is LUMBERJACK 100. It is going to be awesome! My mom and I stayed in Gaylord and did a road ride. I did this route last year and it was really good with some long sustained climbs along with some good steeps. The new road bike was nice. I could ride in the drops and push comfortably with no back pain, and throughout the whole ride, I had not back pain at all. The longer top tube is really nice to have. The frame with the flexy aluminum seat stays soak up the road vibration more than the carbon stays on my Felt. All in all, itwas a great ride and my legs felt pretty good. A total of 35.6 miles and 1600 feet of climbing for the day. Lumberjack, here I come. I am keeping up the longer endurance rides and training for Lumberjack. I will ride a lot this week, then fade off next week as recovery before the big race on Saturday!!! I did trailwork at ILRA traimming the faceslappers on the beginning of Yellow for 2 hrs. At 3pm, I went out and road to ILRA and did a Yellow, then Blue/Yellow. Then I rode over to the Tree Farm via rail trail-dirt paths, and roads. I rode a few miles of the trail until my brother got there and I rode the 10mi loop with him. I then roade back home through dirt roads most of the way for a good 4 hr 45minute ride. I felt great even after all of the riding lately. Man, I haven't done intervals or LT training for a while. Good thing my next CPS race is the Boyne marathon of 56 miles. Perfect for my schedule and training regimen! I will see what tommorrow holds, maybe a recovery road ride, then a long road ride on Thursday..if it doesn't rain-but it probably will. It's not letting me post my pics, so I will try later. I took Tuesday off as a recovery day and figured I could go out Wednesday and throw down some intervals during a 40mi/2hr ride...WRONG! My legs were soooo heavy. The 12H after affect. Holy crap, I could not pedal worth a damn. I did stick it out and hammered on the hills though. The longer I rode, the better I felt. I guess a double at PLRA on the SS isn't such a great idea after doing well at a 12H race. Oh well, I will learn. I took yesterday off and am going up to Gaylord today to go get ready for racing this weekend. I might take a nice little spin tonight on the road bike and then do a pre-ride at Hanson Hills tommorrow. The race is Sunday and I am hoping for some snappy legs! It should be a fun and quick race. I am staying up there monday to do some road riding with some good hill climbing. I will do the 32 mile loop and if I feel good, I might do another. Should be an awesome weekend with good weather and good riding!